SALISBURY — Stilt walkers, music, jokes from emcee Cale Evans, and business and community leaders filled West End Plaza for the Rowan County Chamber of Commerce’s gala themed after the musical “The Greatest Showman” on Thursday night. 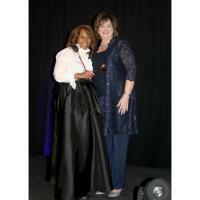 Chamber President Elaine Spalding said she hopes this year’s gala sets a precedent for the year ahead that focuses on diversity and inclusion as the chamber passes the gavel to Nicole Holmes Matangira, who is believed to be the first African-American chairperson of the organization. 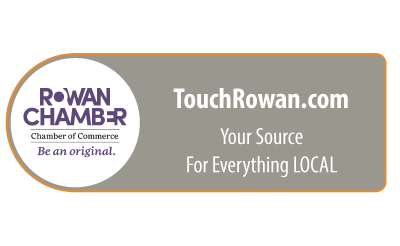 Matangira, of Holmes Iron and Metal and Matangira Recycling, told the audience about the priorities of the chamber for 2019, which include education for workers, researching the creation of a youth version of the chamber’s Leadership Rowan program, helping make downtown Salisbury more vibrant, stimulating the Rowan IDEA Center and updating the trade show. Jayne Land of Century 21 received the Paul E. Fisher Volunteer of Year Award. Elia Gegorek presented the award, saying Land helped with or attended a large number of the chamber’s events in the last year, including most of the 86 ribbon cuttings. The Duke Energy Citizenship and Service Award was given to the late Frank Goodnight, the owner of Diversified Graphics Inc. who passed away on April 6 at 70 years old. This is the first time the chamber has presented the award in memoriam. His wife, Diane Goodnight, accepted the award. She said the first thing she and her husband did when they opened a business was to join the chamber and they remained members.